Originally, this ground was named the Hirogata Salt Field. The Shiogama Shrine here was dedicated to the Salt Pot God. At the end of the Meiji era, Chikkou Hachiman Shrine was built in the same precincts of this shrine. The new shrine was moved here from Tai Hachiman Shrine. 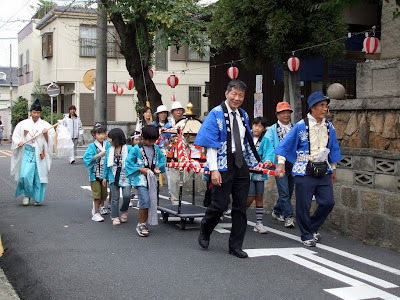 The mikoshi is paraded down this street when there's a festival.